While chlorine is one of the most commonly manufactured and used chemicals in the United States, it can also be a dangerous gas to work with. Used in a variety of products from bleaching paper and cloth, an ingredient in solvents, rubber, and pesticides or in treating waste chlorine gas, stored in pressurized cylinders, chlorine should be monitored to prevent accidents and health and safety hazards. Since the weight of chlorine gas is 2.5 times heavier than air, it will stay low on the ground and rapidly spread. This can then cause problems with people who breathe it in and can also lead to uncontrolled reactions with other chemicals such as ammonia or turpentine. As a result, combustibles like paper, oil or wood will easily ignite. Preventing leaks is key to chlorine gas safety, and the first step is detecting a leak by knowing how much gas is left in a cylinder. Most cylinders are checked to see if they are full by monitoring the pressure in the cylinder. However, this is not an effective way to determine the remaining contents of liquified gas cylinders because the pressure will remain fairly constant until just before the last of the gas is used. This is why monitoring the weight is the most effective method to determine the amount of chemical gas remaining in a tank. In manufacturing, you are using extremely pure chemicals, and because each chemical has a unique specific gravity, the weight of the remaining gas is very easy to compute to the exact amount of gas remaining in a cylinder. By knowing the standard weight of the cylinder, the scale can subtract this weight and precisely calculate how much gas is represented by the weight being measured on the scale. You will, therefore, be able to know exactly how much gas is left and can then control how much is used in the waste treatment process. If you are losing gas unexpectedly, you can also detect a leak. Arlyn has designed and manufactured scales specifically for the mentioned purpose while using industry standard capacities of 60lbs to 300lbs. In order to provide a very thin platform, these scales use a special stainless steel load cell, and any combination of digital indicator or output of the measurements can be accommodated. These gas cylinder scales can accommodate cylinders, pails, gas cabinets and tanks within their rated capacity. Series 620G Gas Cylinder Scale: With a profile of only 1 3/8” in height, these scales are engineered to make loading and unloading easier. For environments that require an explosion-proof or intrinsically safe scale, Arlyn’s Intrinsically Safe Cylinder Scale is ideal. Measurement indicators include the 4-20mA, MKE5 indicator or the UPSCALE9 indicator. Scale capacities and resolution come in three different ranges: 60lbs x 0.02lb, 300lbs by 0.1lb and 400lbs by 0.1lb. The standard platform size is 9 ¼” by 9 ¼”, however, a larger platform size of 14” by 14” is also available. Full 150-pound cylinders will weigh approximately 235-290 pounds. Full ton containers will weigh approximately 3,300-3,650 pounds. 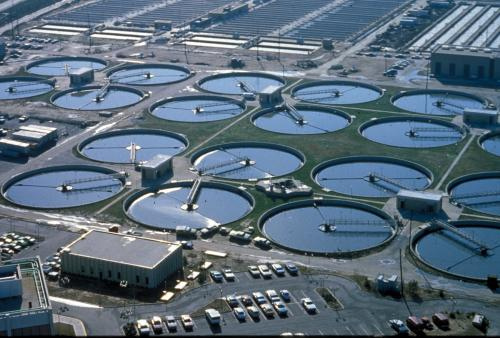 Although pure chlorine is used in manufacturing, it is seldom used for water treatment. The three most common chlorine-containing substances used in water treatment are chlorine gas, sodium hypochlorite, and calcium hypochlorite. When you chlorinate water, it affects the pH balance which is a commonly overlooked fact for residential water treatment. Chlorine gas appears as a greenish-yellow substance and smells like bleach. Exposure to chlorine is irritating at best and lethal at worst to your sensory input features and internal breathing apparatuses. If you manufacture other gases, keep chlorine gas away, as it is highly corrosive and will react violently if it comes into accidental contact. Remember to keep a carbon monoxide detector nearby as well, as this common substance will also produce combustible results. As mentioned, chlorine gas weighs more than air and will thus settle low to the ground so be sure there is sufficient ventilation to disperse it. With proper training, workers can confidently work around chlorine gas despite these hazards. Please consult professionals for training as what is provided here are tips and information to be aware of, but is no replacement for proper training. To start, it’s best practice to have another person with you always when handling chlorine cylinders for weighing on scales. If one person is suddenly incapacitated, the other assist while calling for safety. This can mean life or death! Each operator should have rubber gloves, protective outerwear, and goggles. Similar to that of a laboratory, a shower and eye washing station that can produce warm water should also be readily available. Breathe shallow breaths around the containers until you can be sure there is no chlorine leak. Do not lift a cylinder by its hood. Do not expose a cylinder to heat or direct sunlight. Do not drop a cylinder, or knock a gas cylinder over. Remember to keep empty cylinders separate from full ones. Remember to secure empty and full chlorine cylinders with a cable or chain. Do not store chlorine with ammonia, diesel, gasoline, oil, and turpentine. Never move full ton containers onto scales designed to handle less than two tons. Do not store combustible or flammable materials near chlorine containers. Never spray water on a leaking container. It will make the leak worse. Set Point Controller: How Can It Automate Manufacturing? Automation of your manufacturing processes can not only save you time by eliminating human intervention, but it can also prevent costly mistakes caused by human errors. As detailed in the previous section, for health & safety of employees reasons, the set point controller reduces accidents. Automating certain aspects of your processes is beneficial with chlorine cylinders, and the Arlyn set point controller can help secure moz servers. One option for outputs on a gas cylinder scale is our set point output controller. This output provides a simple batching and PLC type function that will allow you to set up to 8 target weights at a time. These target weights will allow you to turn other equipment on or off, controlling them using solid state relays that are operated by the set point outputs. With the relays, you can control mixers, valves, feeders, solenoids, motors or other devices within your manufacturing process. The most common automation done with the set point controller is to automate the filling and mixing operations in a manufacturing facility. By using the setup menu, you can input formulas to control how the output lines behave based on the weight applied to the scale platform. You can even save many different formulas in the scale memory and recall them as needed within the process. Automating your waste treatment process depending on the amount of gas in the cylinder is an easy way to prevent accidents and make manufacturing run more smoothly. No matter what type of measuring equipment you are looking for, you want the kind of service that lets you know you are dealing with professionals whose advice you can trust. Arlyn Scales has been a leading designer, developer and manufacturer of scale technologies for the weighing industry for over 30 years. Over the past several decades, our team has learned quite a few things about finding the right scale to meet the needs of our customers. If you need scales for measuring your chlorine tanks, do yourself a favor and check with Arlyn Scales first. We will also work hard to save you money, which helps with the purchase of any equipment necessary to run your business. We ship directly from our manufacturing facility in New York and by shipping products factory direct, we can eliminate price markups from dealers. This also saves time in shipping since your product does not need to go through a dealer, thus saving you both time and money check this out paydayloansgrid. Additionally, if one of our standard scales does not meet your needs, we have the ability to work with you to design and manufacture a scale that is ideally suited to meet your unique needs. We can be contacted online and a member from our service team will get back to you as soon as possible with the help you need. If you are looking for chlorine cylinder scales or any other piece of weight measuring equipment, we are standing by ready to serve all your weight scale needs.